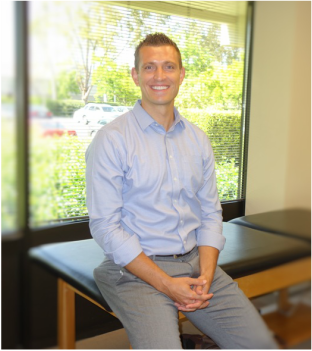 Dominick graduated with his Master’s degree in Physical Therapy from California State University at Long Beach. Through evidence-based practice, his comprehensive and integrative approach to treating patients allows them to experience various treatment philosophies and techniques during their recovery. Dominick takes pride in developing home programs tailored to each individual to help them reach their personal goals faster. His athletic and educational background, combined with his love of teaching, carries over in his ability to relate to his patients. His belief is when patients have a greater understanding of the underlying biomechanical issues associated with injury, they respond better to treatment and ultimately have better outcomes. He lives in Danville with his wife Amy, who is a hair stylist in Danville, and his son.